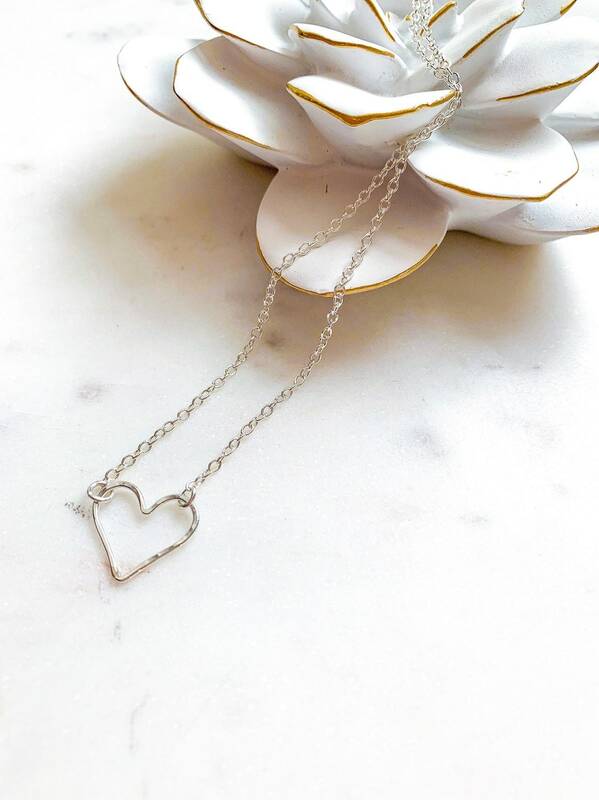 Length 16" 17" 18" 19" 20"
The Open Heart Necklace is dainty and minimal and perfect for layering with other necklaces. 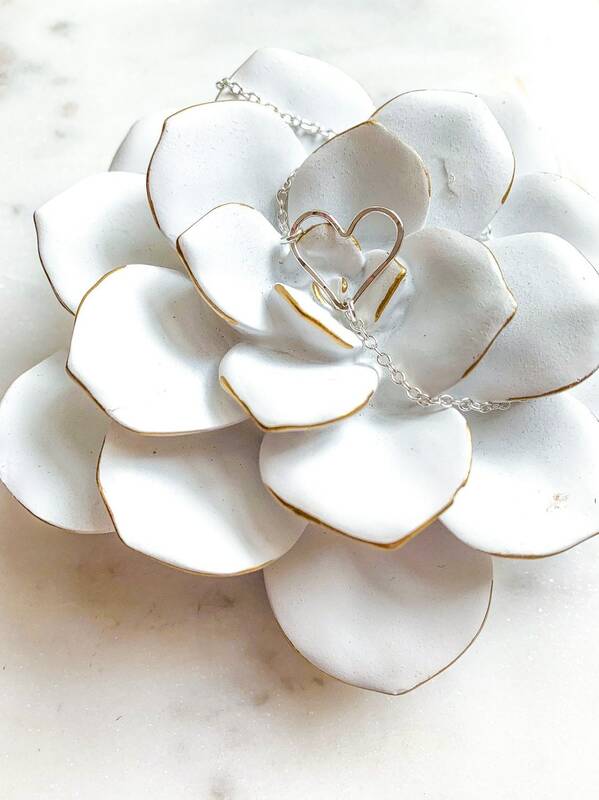 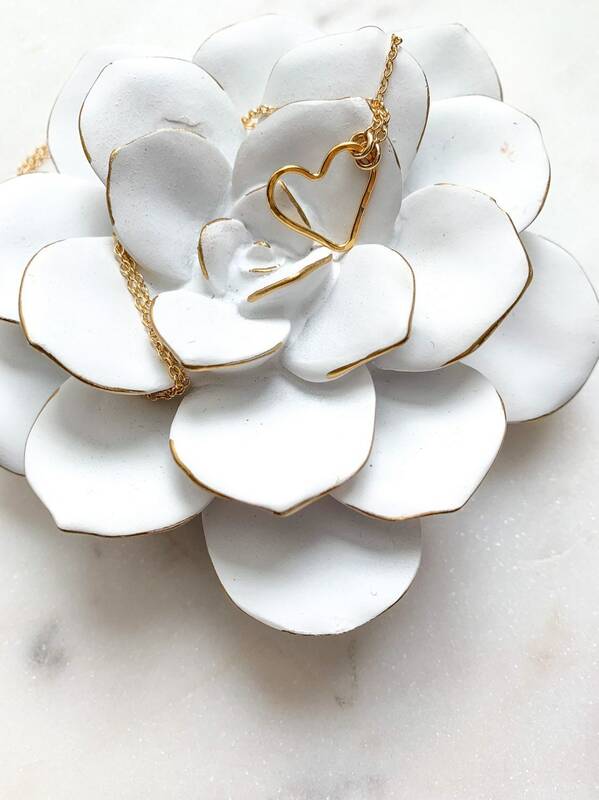 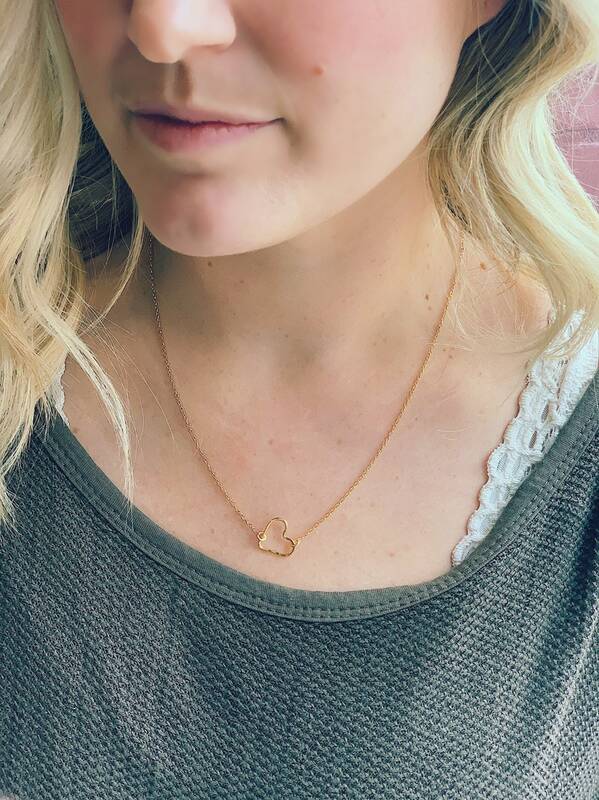 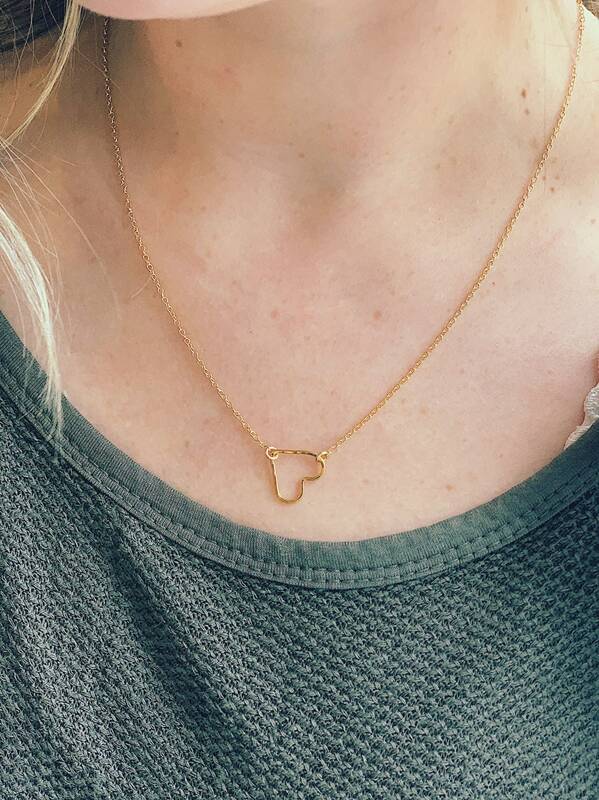 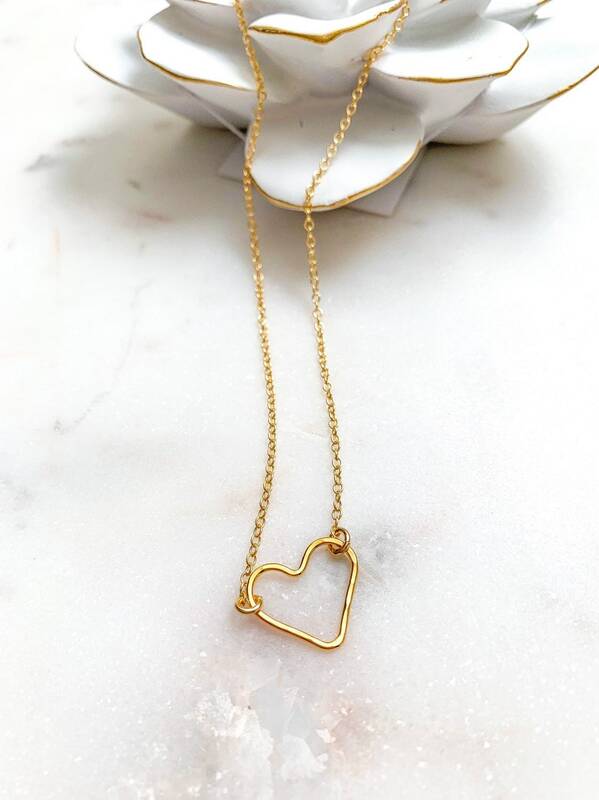 A hammered gold filled, rose gold or sterling silver heart is connected on each side with a dainty cable chain. 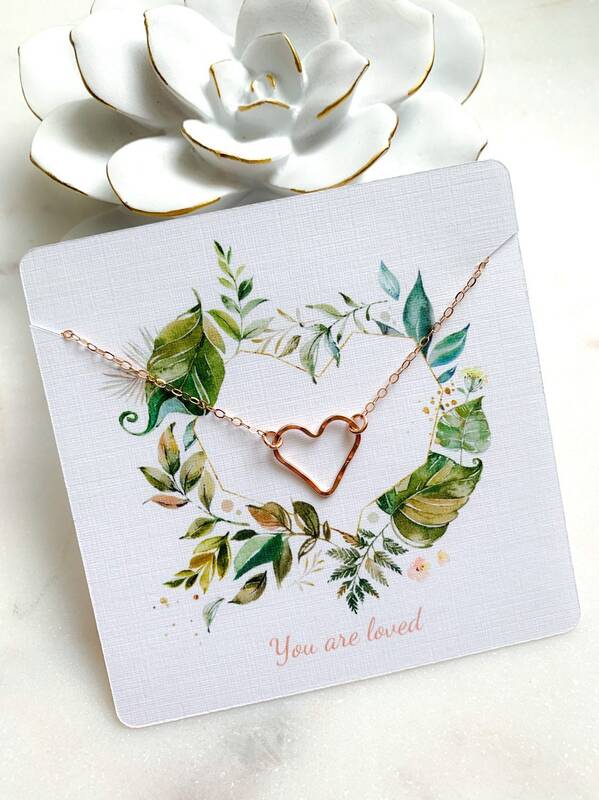 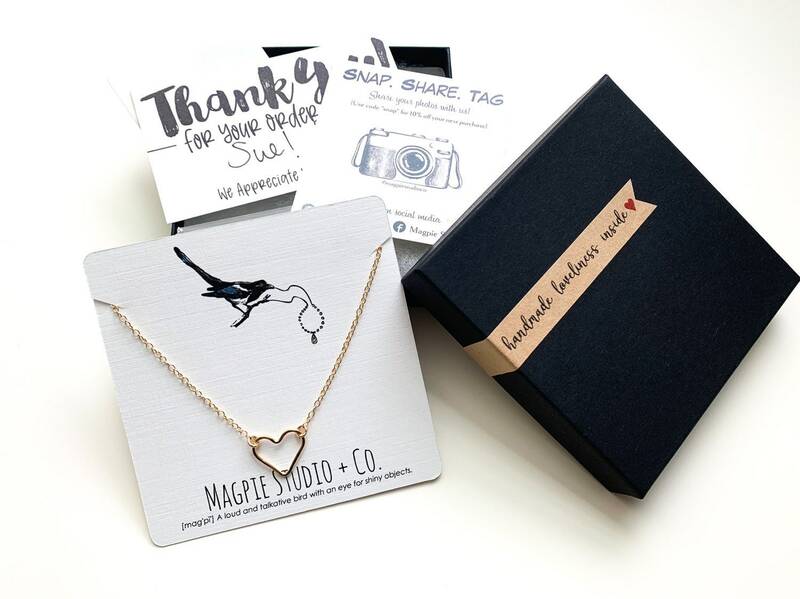 Our Open Heart Necklace will come presented with a uniquely designed You are Loved necklace card.